I have always loved both counting and alphabet books. 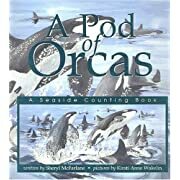 A few years ago I wrote A Pod of Orcas: A Seaside Counting Book, but I never did manage a decent alphabet book. 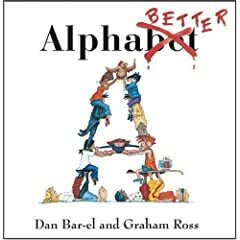 If you are a fan of these books, you will be as delighted to crack the cover of Alphabetter by Bar-el and Graham Ross as I was. Bar-el, puts twenty-six girls and boys in various predicaments with the solution to their dilemmas a mere letter away. 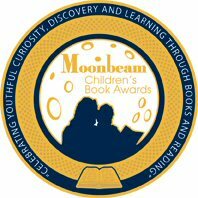 Each of the characters is named after one of Bar-el’s students which adds a multicultural flavour to this quirky story.Vladamir, Umar, Mateo and Joo Pyo are a few of the kids who will be thrilled to see their names in print. Bar-el’s words are brought to riotous life by Ross who has Frieda feeding her football fish food in a fish bowl while Gwendolyn has a goldfish hanging from her tool belt where a hammer ought to be. Of course the solutions are obvious―all except for one. The final letter of the alphabet has no one to give her what she really wants, or does she? Ross’ illustrations are hilariously accumulative, but there is more. Each page has a hidden letter, making this alphabet a bit of a mystery. Some of the letters are tough to find, but the answers can be found at Orca Books if you have trouble. In my estimation, it is most unfortunate that there are only twenty-six letters in the alphabet!